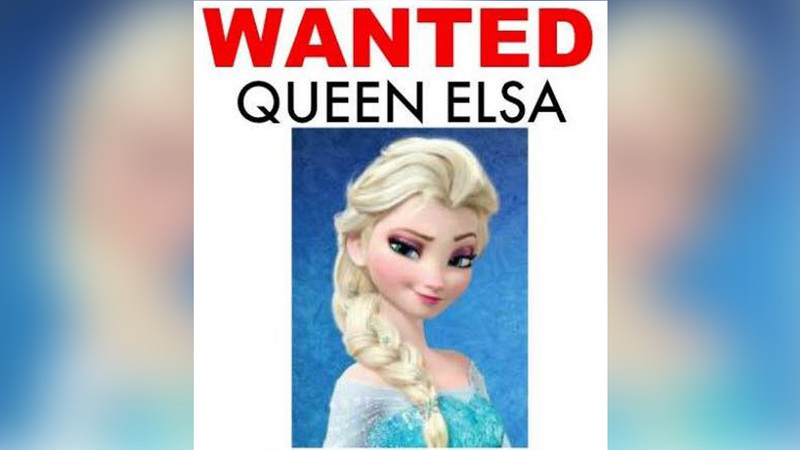 The warrant says that Elsa is wanted for 'maintaining a common nuisance' due to the freezing cold temperatures, and advises citizens to take various precautions. A few days after issuing the 'warrant,' police said through tips they were able to locate Elsa and interview her about cold conditions. Officers said that they instead placed Prince Hans under arrest, saying he faces preliminary charges of manipulation of Elsa in an attempt to overthrow Arendelle. Police say Queen Elsa was released after promising she will be working to restore the temperatures to 'manageable' conditions.